Ipomoea is pronounced many ways, but the most common is ihp followed by a long â€˜O', the emphasis on ME and then an â€˜uh', as in duhih-poh-MEE-uh. It's kind of fun to say, isn't it? But we won't judge you if you just call it by its easier-to-remember name: Sweet Potato Vine. We are talking about the ornamental type of sweet potato vine, which does produce tubers, although these more decorative vines do not result in the tastiest sweet potatoes. Look to the sweet potatoes developed specifically for consumption, such as these, if you are looking to harvest the edible varieties. Ornamental Sweet Potato Vines are a fantastic annual (except in the south where they grow as a perennial) ground cover, as well as the ideal pot filler and spiller, with foliage available in a wide range of colors, shapes and sizes. Relatively easy to grow, they require plenty of water, especially in dry, hot weather. 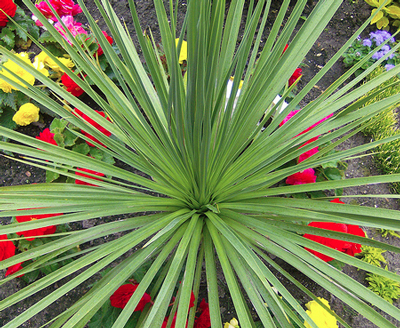 They will grow in full sun to partial shade and are widely adaptable to many soil types. For the best results, especially when growing them in pots, we recommend a good all-around plant food like Espoma Plant-tone® or Jungle Flora. Ipomoea plants are heavy feeders. 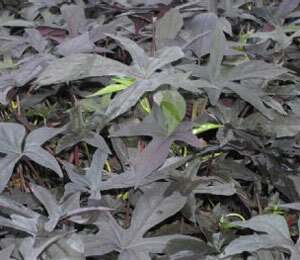 Sowhere do you want to grow your Sweet Potato Vines? A sunny spot? Our BlackieIpomoea plant performs well in partially sunny to fully sunny spots, although our BronzeIpomoea is the truest sun-worshipper. Both of these will trail to at least 36 inches and up to 72 inches. If you're looking for something a little less enthusiastic, look to Compact Margie: she only vines to about 24 inches. A shady spot? Our BronzeIpomoea will also grow well in fully shaded areas, but it won't grow as fast as it does in the sun. Marguerite'sbrightly colored foliage will light up your shadiest areas. In fact, Marguerite is prone to sunburn and should avoid afternoon sunlight. A hot spot? Our Ace of Spades Ipomoea has exceptional heat tolerance, in the sun or shade, although the darker and usually most desirable coloration occurs in partially shaded areas. 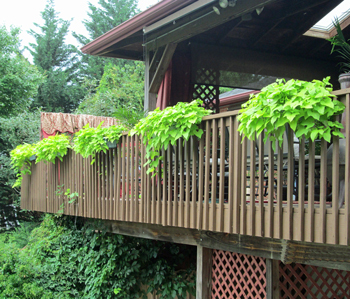 And, in addition to loving the sun, our BronzeSweet Potato Vine is also immune to the heat. just in time for planting in your area. But hurry: this sale ends at midnight on February 9! If you have questions, please don't hesitate to call us or to Ask Our Master Gardener. 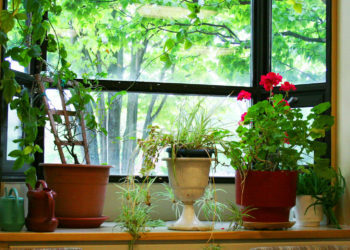 We want you to thoroughly enjoy your gardening experiences and we want to help you do that. Happy Gardening from all of us at Garden Harvest Supply! Soil pH Simplified What's Better: Open-Pollinated or Hybrid Vegetables?